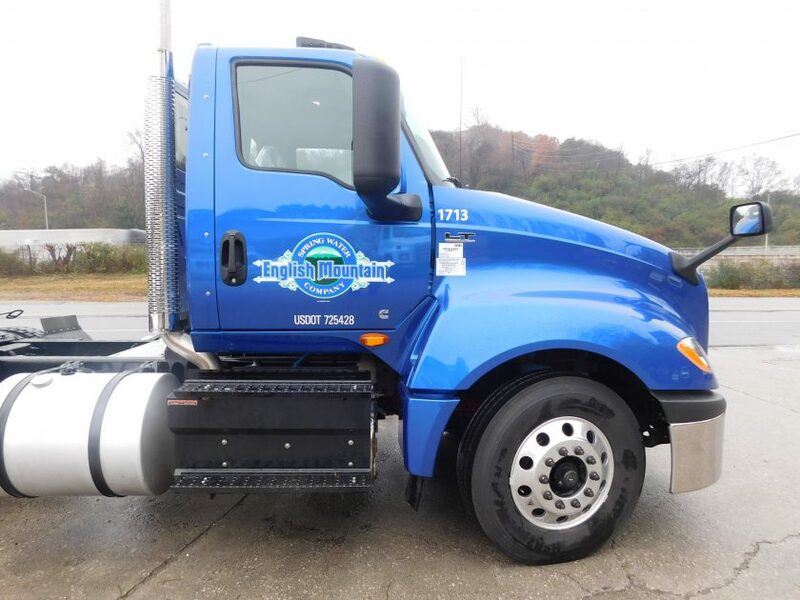 We have been blessed to have several new customers recently and we just wanted to say THANK YOU!! 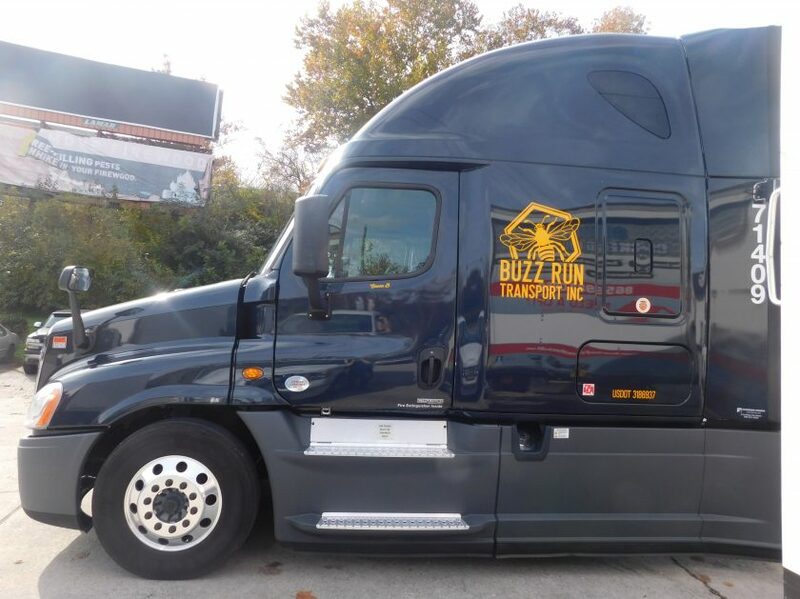 As you can see many of them selected either vinyl graphics or vinyl wraps to be installed on their commercial vehicles from tractor trailers to vans and trucks. 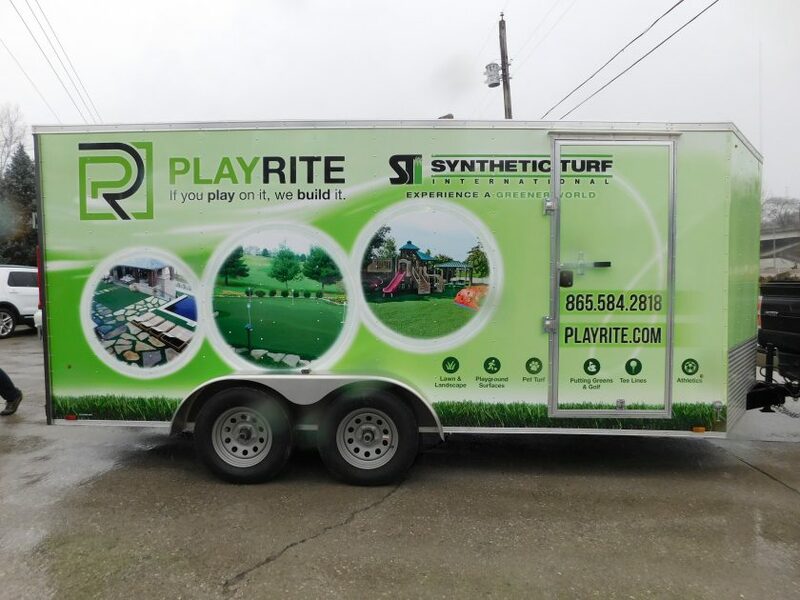 We would love to welcome you as our next new customer and help wrap your vehicle, we can even custom design as well~ just give us a call! 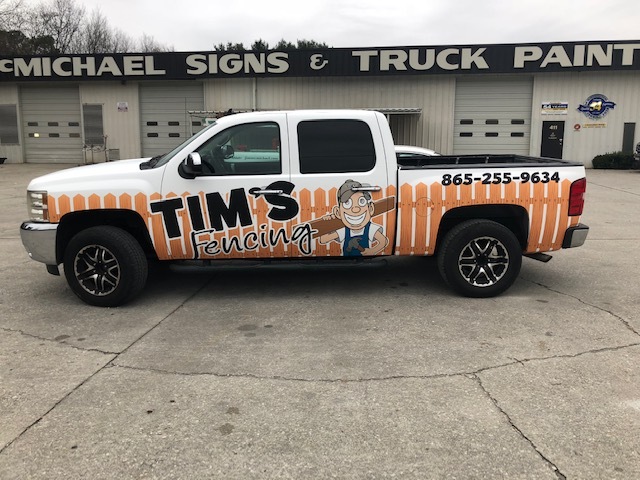 When you hear the description "vinyl wrap" or "vinyl decals" most think of that being done on a vehicle, however, as you can see here~ it can be done on just about anything!! 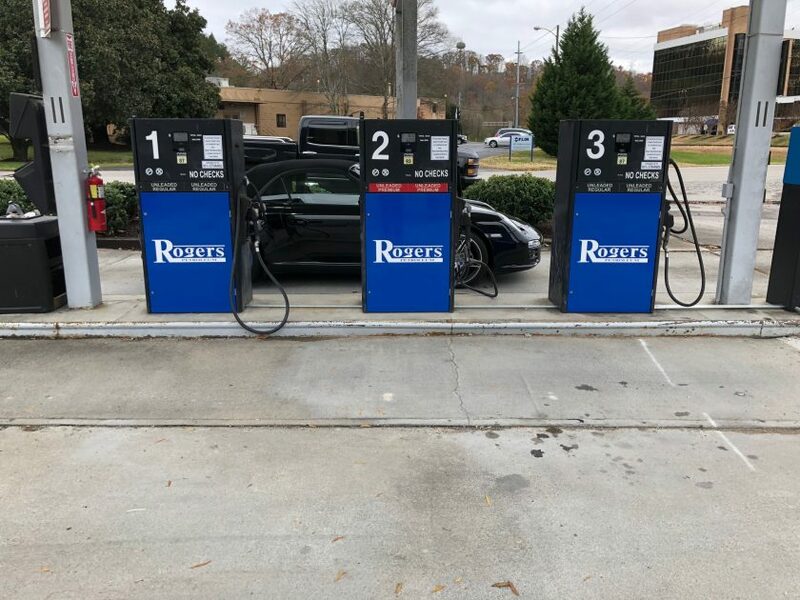 These gas pumps definitely needed a makeover and with the new wraps we created for them~ the customer couldn't be more happy! 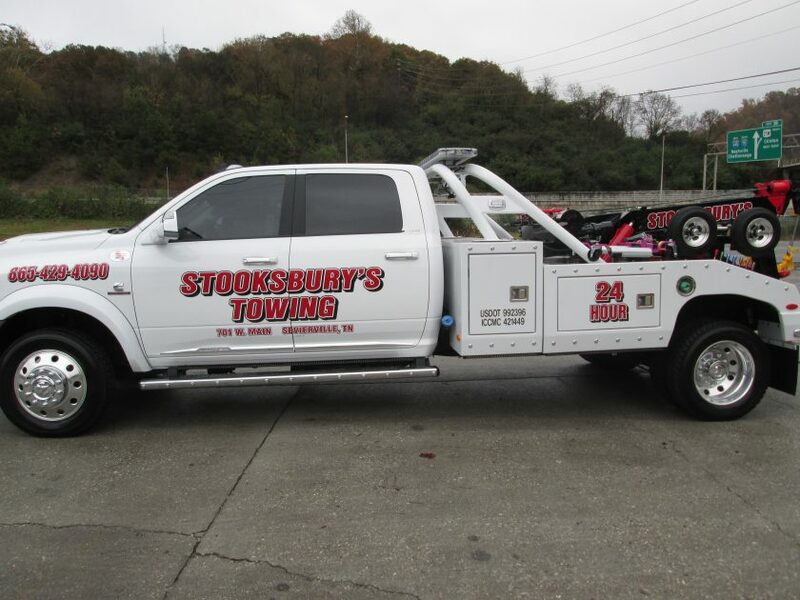 Let us know if we can help you with any type of vehicle or signage needs you have. We can customize and create new images, as well as revamp old ones! Just a few of the vinyl wraps we have completed lately at the shop. 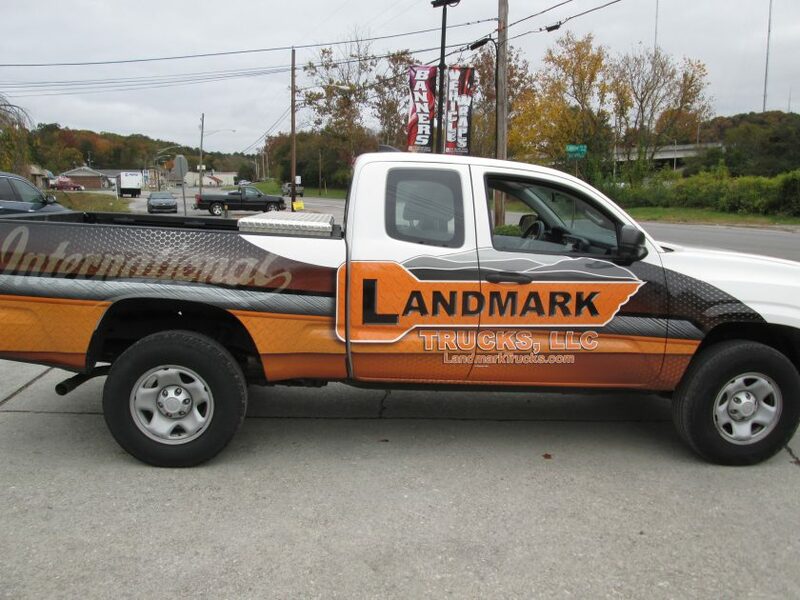 Feel free to give us a call to schedule your vinyl wrap or vinyl decal install. 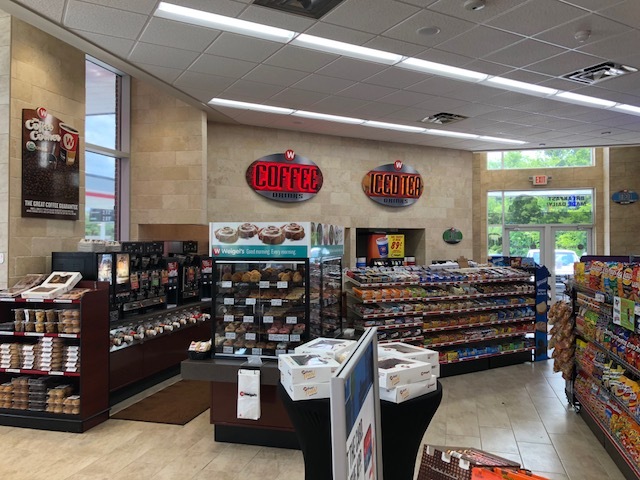 We have several options to fit your needs, including all types of interior and exterior signage as well. 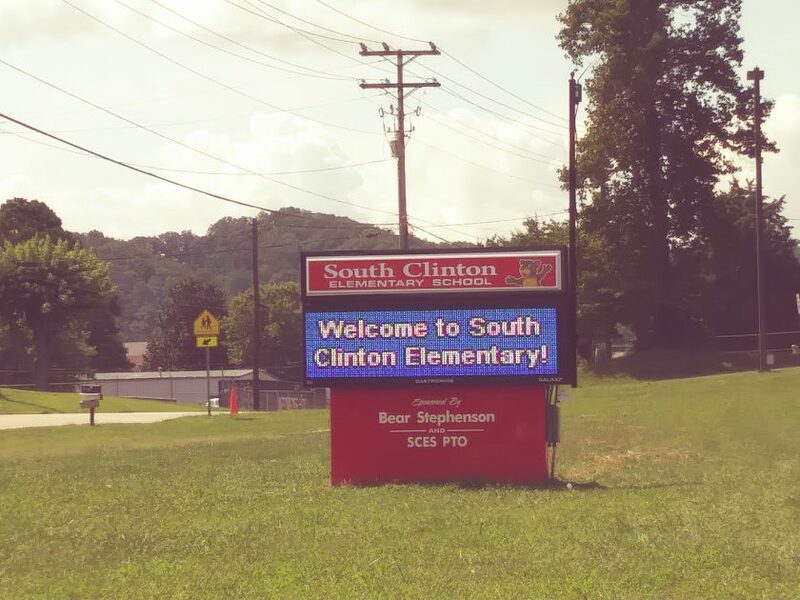 Is your school needing some new signage? 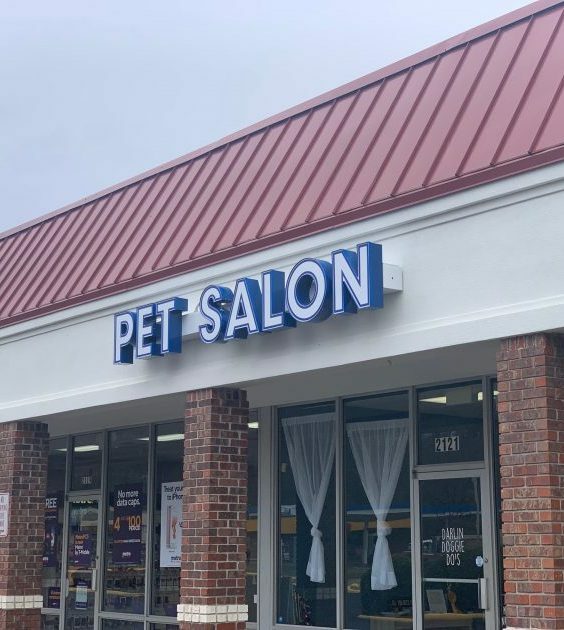 We offer all types of different options from Non-Illuminated building letters, LED Illuminated building letters, raceways, Monuments and Pylon signs that you can choose from. 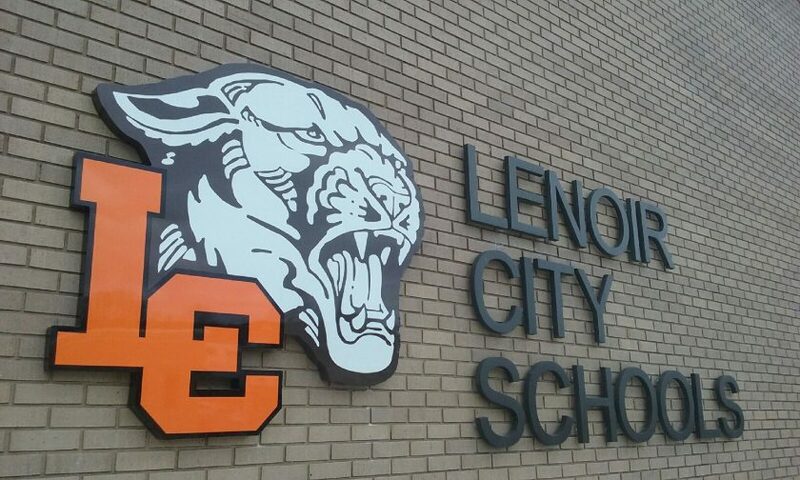 After 54 years in business we have helped several area schools with their interior and exterior signage needs. 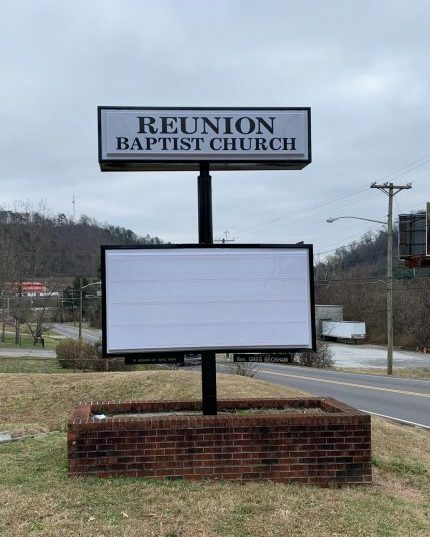 We can also help with banners for special events or really any type of signage you may need. Feel free to contact us today to get started!! 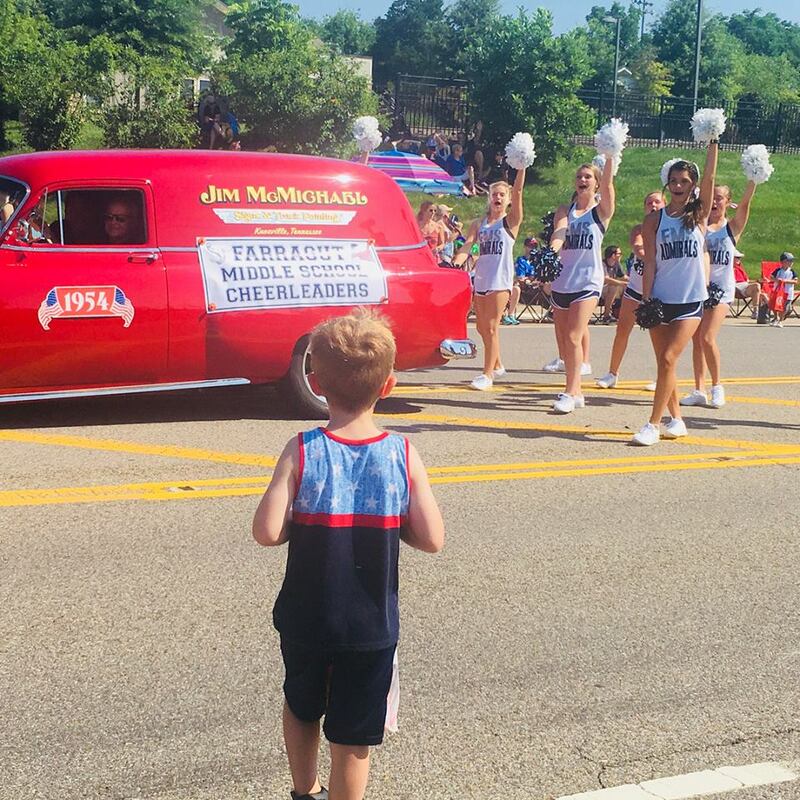 It's no secret that everyone loves when football time rolls around!! 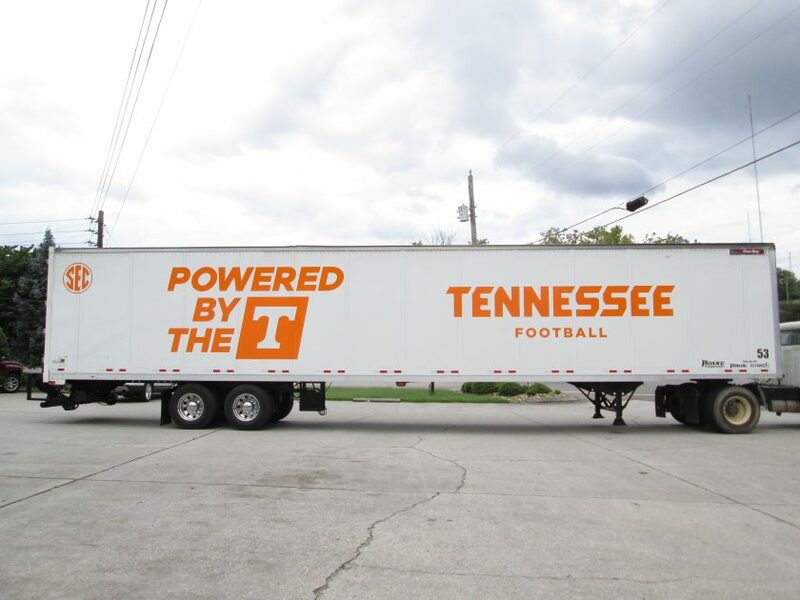 It's always a great feeling to be able to help support the Tennessee Vols~ so we were thrilled to complete this trailer with vinyl graphics! 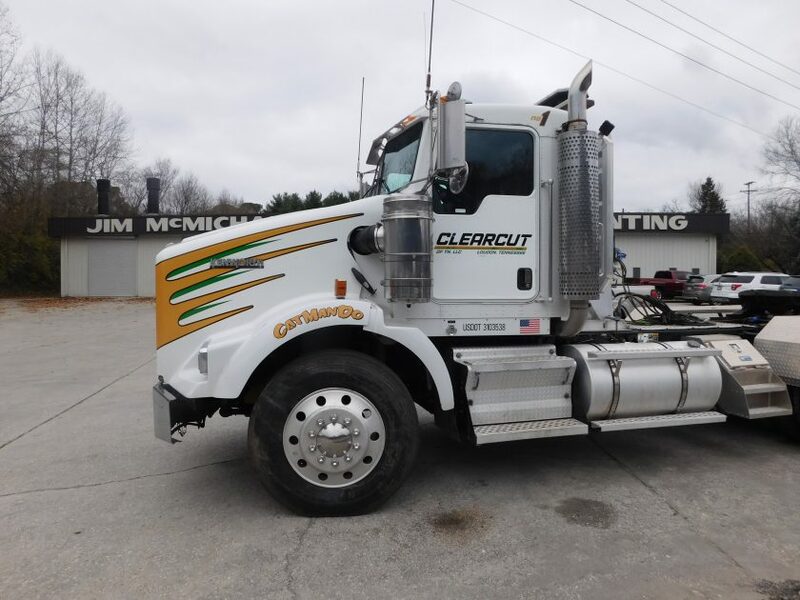 Our large bays here at the shop allow us to handle large trailers such as this one. 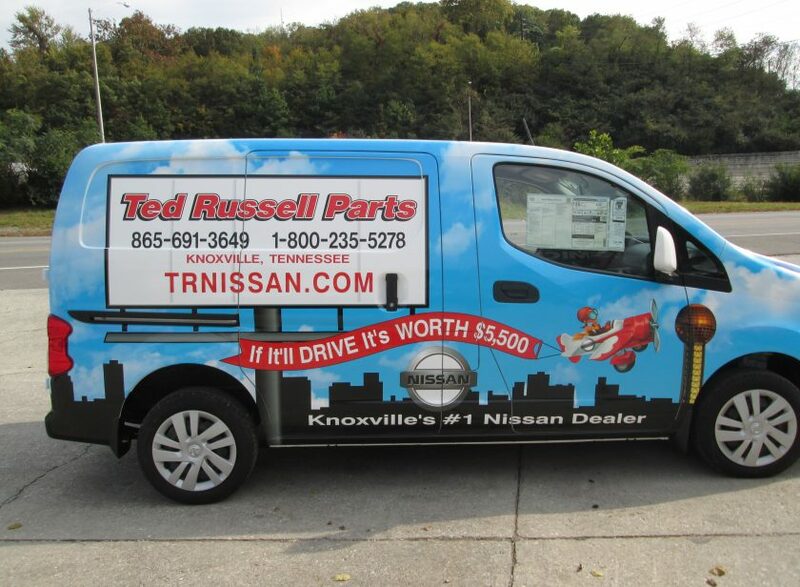 We can design and install vinyl graphics, complete 3M vinyl wraps or any type of digital vehicle graphics. 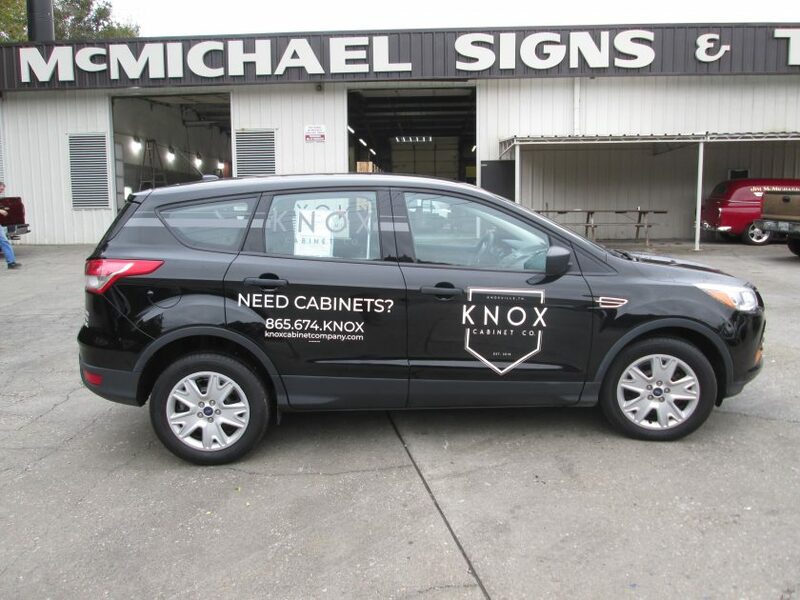 While we do plenty of vehicle wraps and vinyl graphics, many people may not realize that we also offer a wide variety of other types of services and sign types. 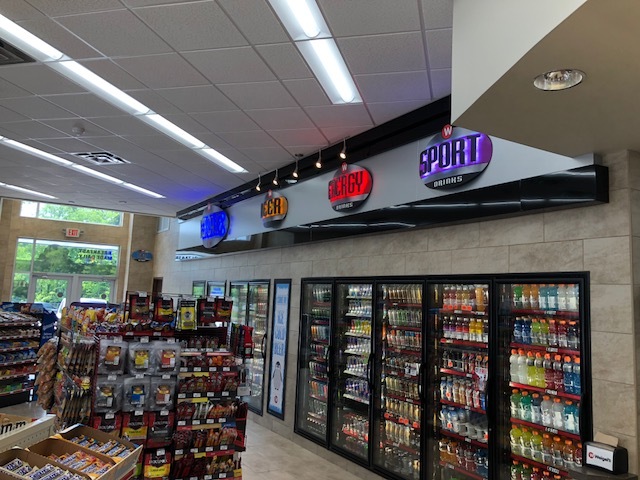 We can do interior & exterior building signage, illuminated and non-illuminated, monuments, pylon's, billboards, job site signs, gas station and restaurant signs and more. 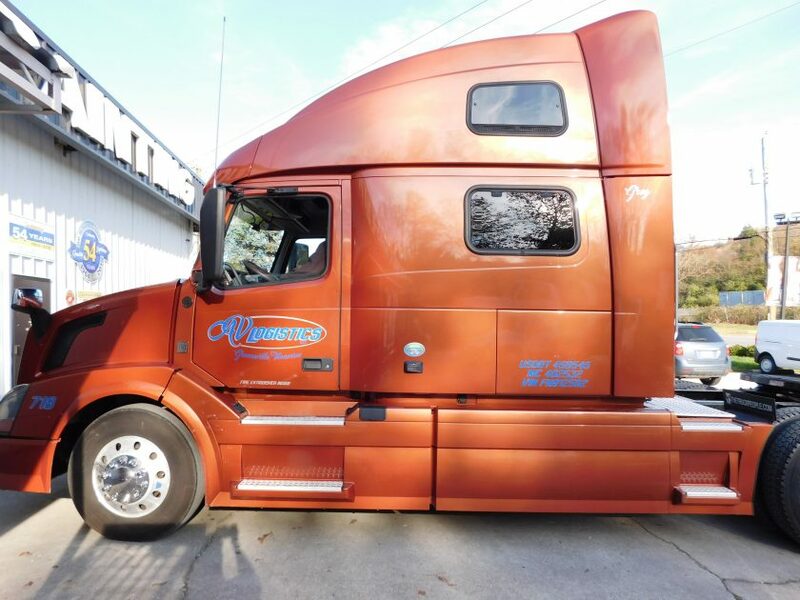 We also stay very busy in our body shop with collision repairs and paint jobs. 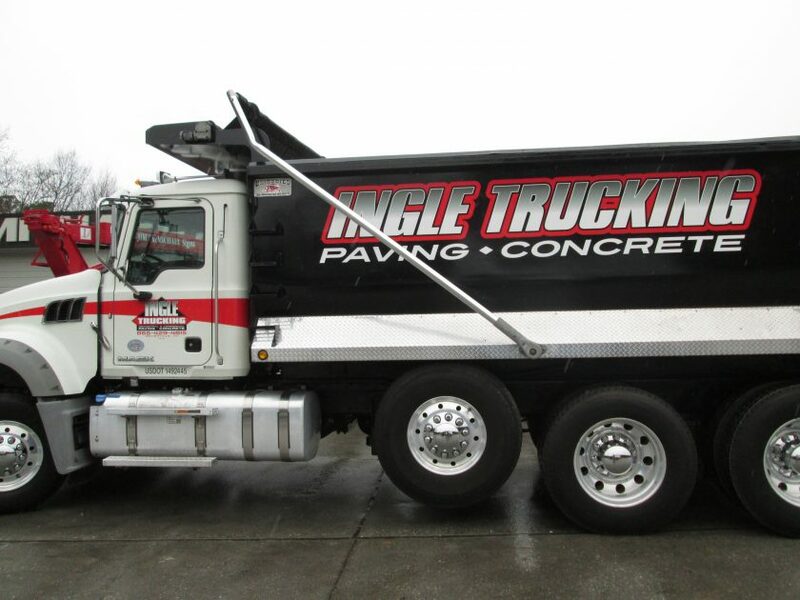 Feel free to contact us to see if we can help you out with your next project! 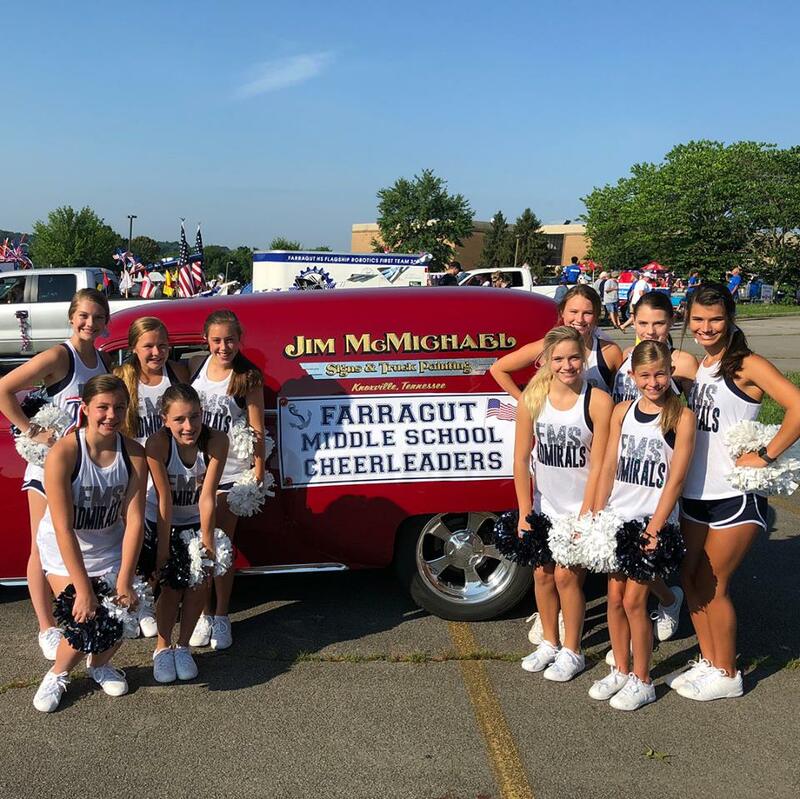 Jim loved partnering with Farragut Middle School Cheerleaders in the parade yesterday! 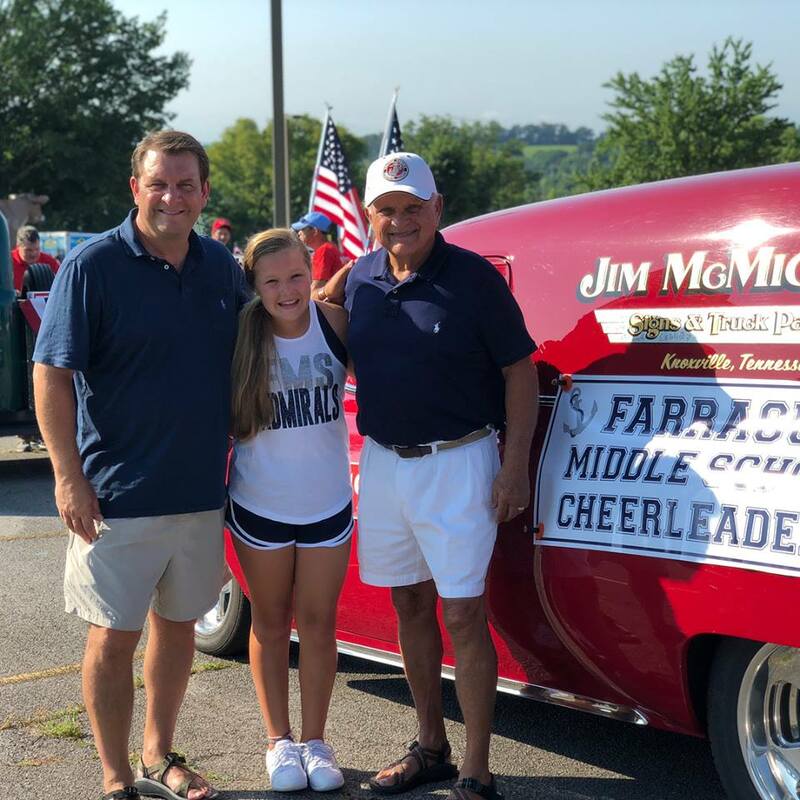 Not only is it a honor to participate with his community, but getting to have granddaughter Katelyn Bruce cheer alongside him just makes it that much sweeter! 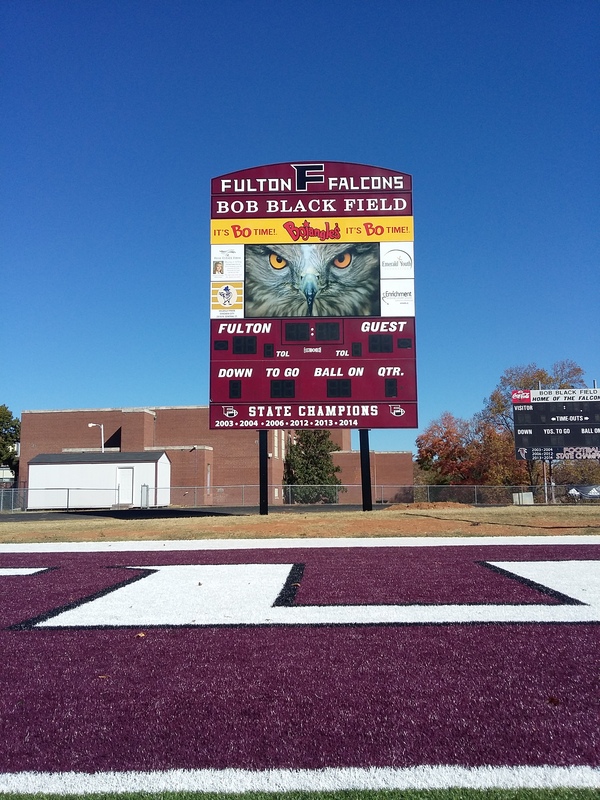 Digital graphics is one of the areas we specialize in here at the shop. 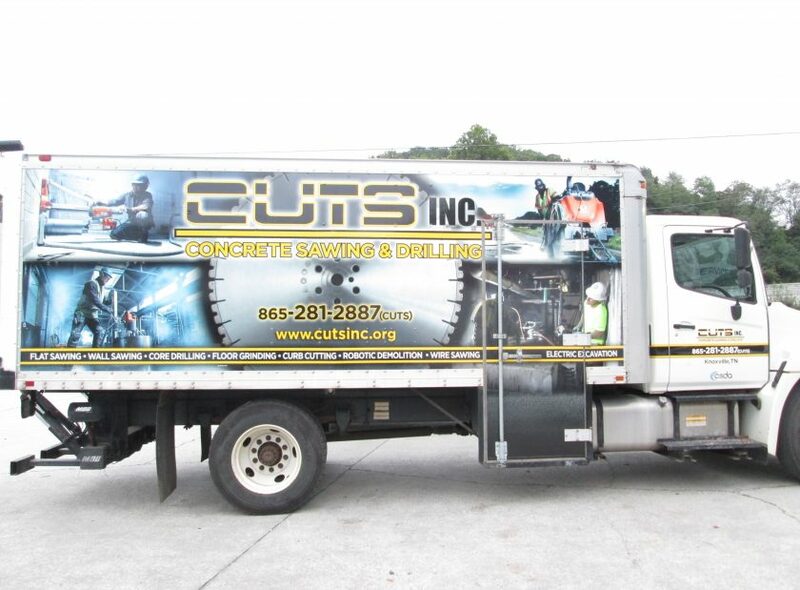 We have staff on site to custom design any type of vehicle graphics you may need for your business. 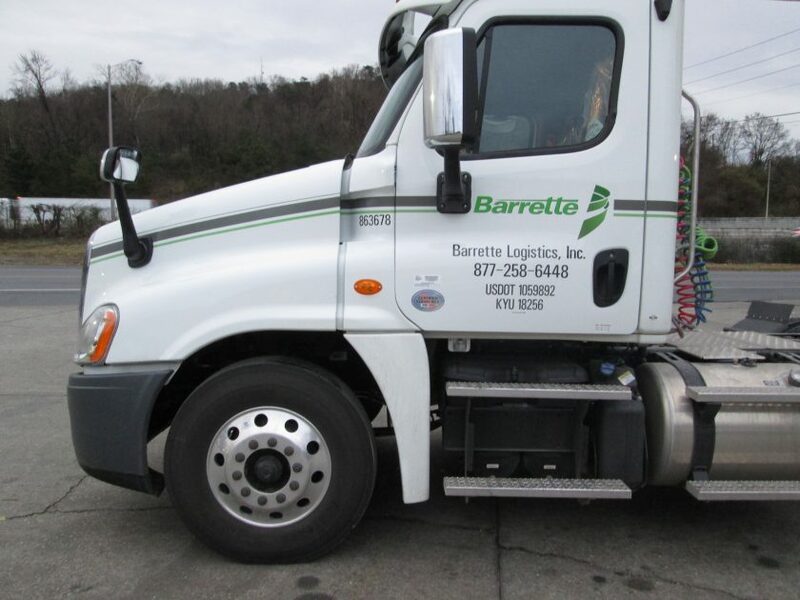 We can do partial wraps, full wraps and even a combination of a vehicle wrap and vinyl decals. 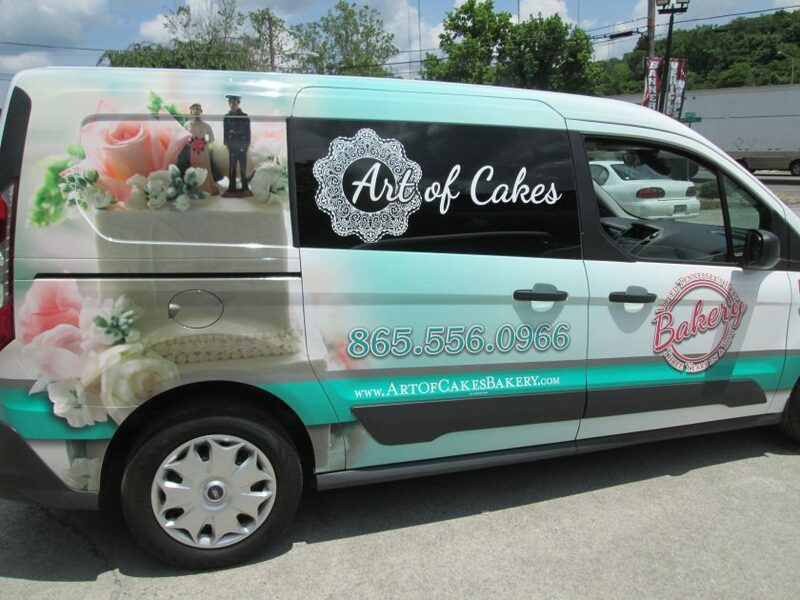 The options are endless on the ways you can advertise your business! 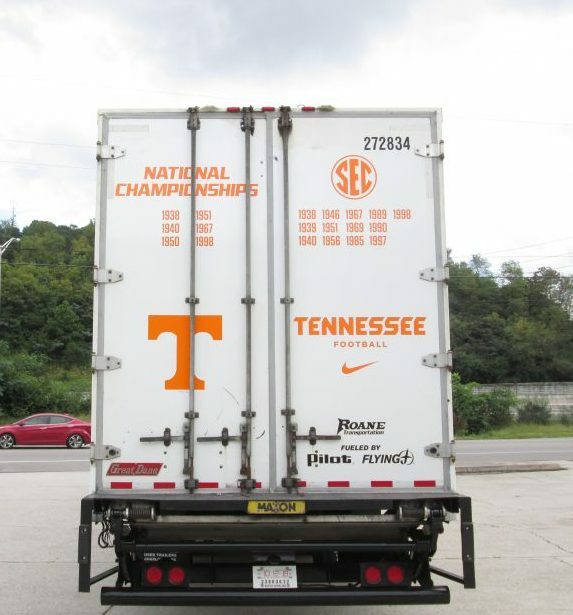 3m Vinyl Graphics are very durable and a great way to get noticed when you are out on the road! 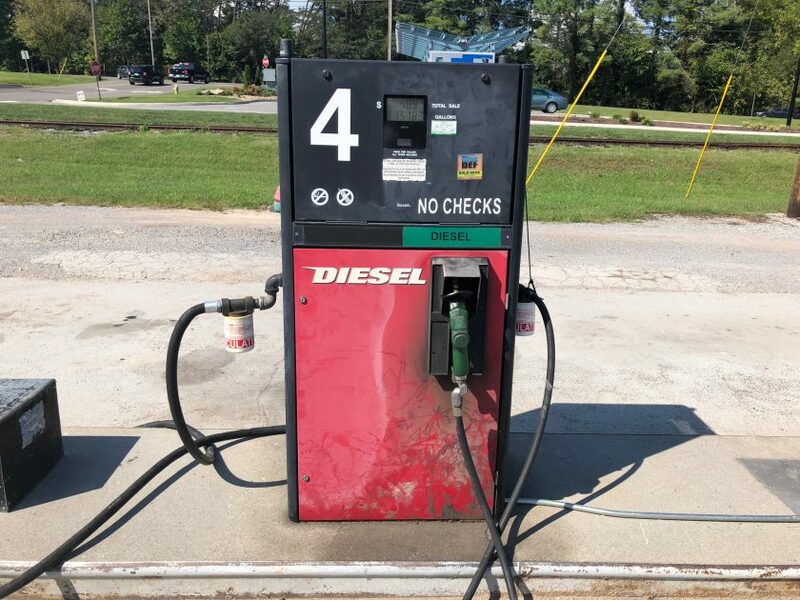 Feel free to stop by the shop for your estimate today! 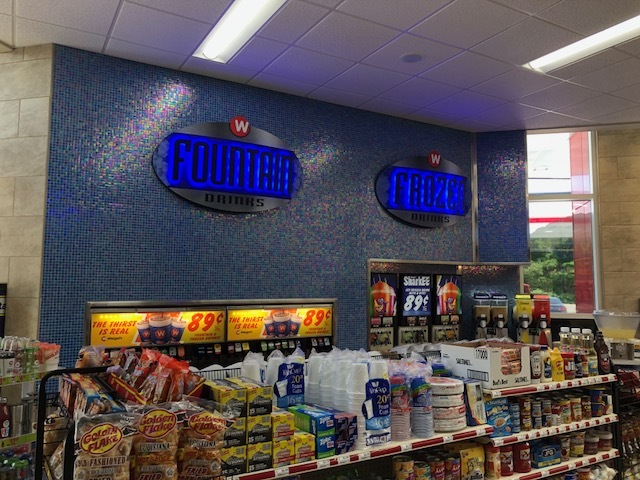 We just recently completed these interior signs for Weigel's. 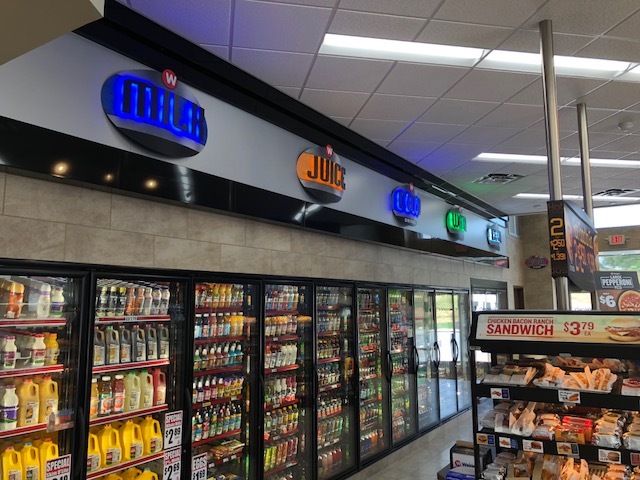 They are oval, cut aluminum signs with raised letters and back lit with LED illumination. 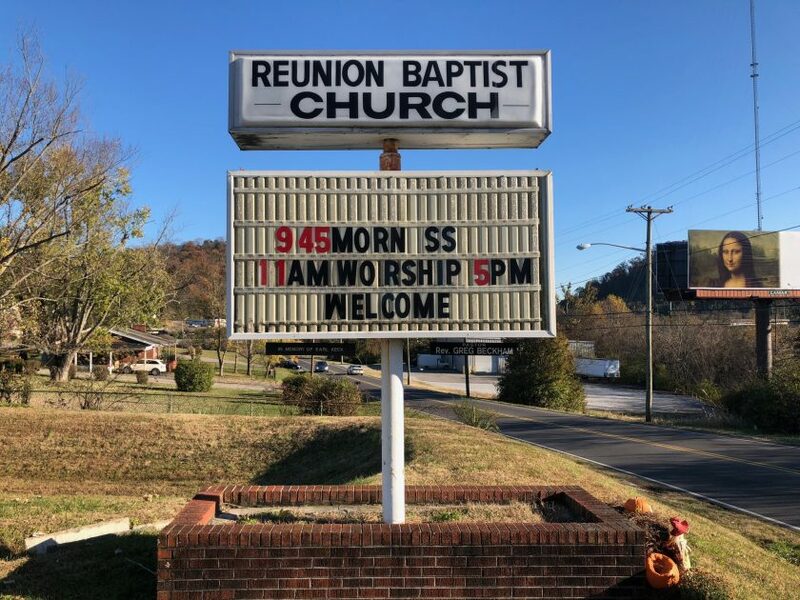 Talk about some sharp looking signs that catch your eye! !